Looking for a pharmacy in Wichita? Find drug stores, pharmacists medical supplies, and pharmacies to fill your prescriptions here. 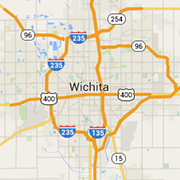 A compounding pharmacy, retail pharmacy, and gift shop proudly serving the Wichita area. Full-service Rx providing prompt, courteous service, FREE area delivery, customized meds including bio-identical hormone replacement therapy, and medical supplies/equip.